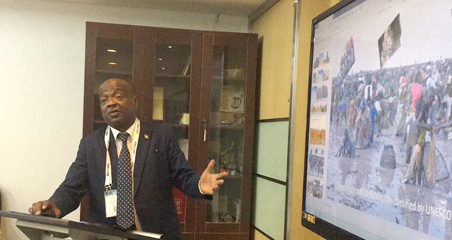 ZAOZHUANG, China, Jan. 23, 2019 /PRNewswire/ -- On December 11, 2018, the Publicity Department of the CPC Zaozhuang Municipal Committee hosted its Zaozhuang publicity campaign through central media so as to "implement the decisions of the 19th CPC National Congress, promoting the rural revitalization strategy". 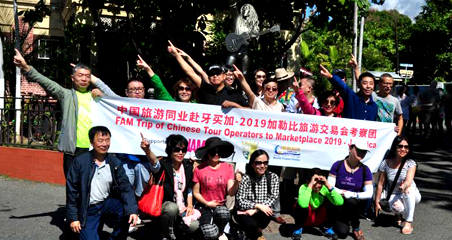 Journalists from more than 10 central media outlets, including People's Daily, Xinhua News Agency, China News Service, and Guangming Daily traveled to Tengzhou City, and Shanting, Yicheng, and Taierzhuang districts to conduct interviews and to publicize the work of people whose work on the rural revitalization strategy has excelled. These people have achieved great results in the areas of organizations, industries, talents, ecology and culture. This campaign aims to widely publicize new achievements and highlights in Zaozhuang during the process of reform and opening up. 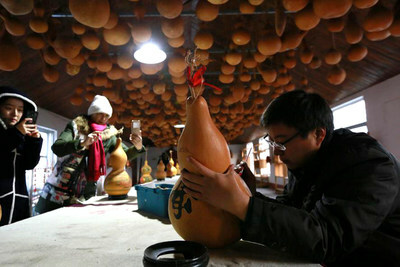 On December 12, 2018, a farmer-artist from Hulutao Village (Xuzhuang Town, Shanting District) demonstrated his bottle gourd colored drawing technique to visitors. In early 2018, Zaozhuang launched its countryside beautification project across the city (which covers 274 villages) and implemented a 1 plus 2 construction model (i.e. 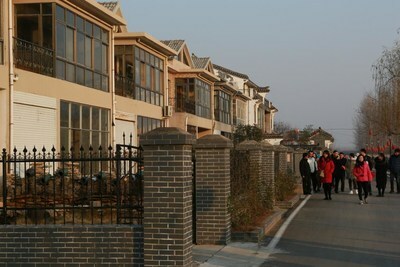 one beautiful countryside demonstration village drives two beautiful villages) for 68 provincial and municipal villages which had been selected as beautiful countryside demonstration villages in order to carry out clustering development with townships as the single unit. 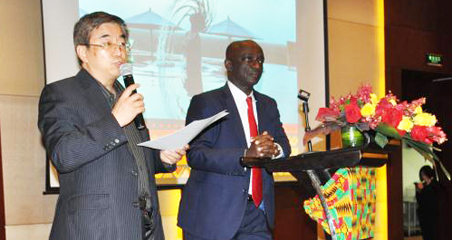 Zaozhuang has been focusing on developing six beautiful countryside demonstration regions, including the charming Jinghe River region in Tengzhou, Panlong River in Xuecheng, the Yanma Reservoir in Shanting, the tourism route in Taierzhuang, the green ring road around new Zaozhuang city, and Pomegranate Park in Yicheng. It was expected that the provincial beautification coverage rate would double in the city, ultimately reaching 8.4% by the end of 2018. 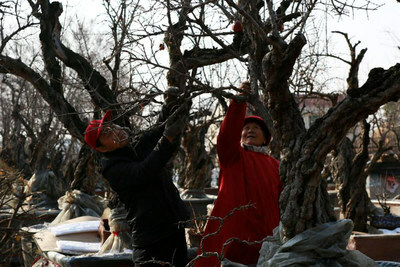 On December 13, 2018, landscape gardeners at a miniature pomegranate grove in Yicheng District, Zaozhuang, creatively pruned their expansive pomegranate miniature landscape. Yicheng is the famous hometown of pomegranates in China, with an annual yield of over 100 million kg of fresh pomegranates. On December 13, 2018, workers in the brush pen factory at the Shandong Brush Pen Museum in Yinping Town, made a number of brush pens of different sizes and styles. About 90 percent of the brush pens produced here are exported to Japan and Southeast Asia. 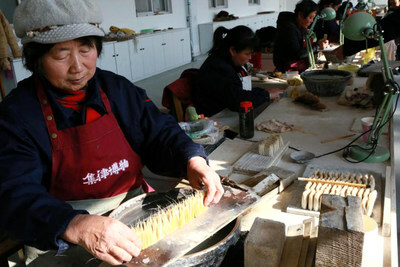 On December 13, people visited Minshuku opened by local villagers in Canglangmiao Village, Pizhuang Town.